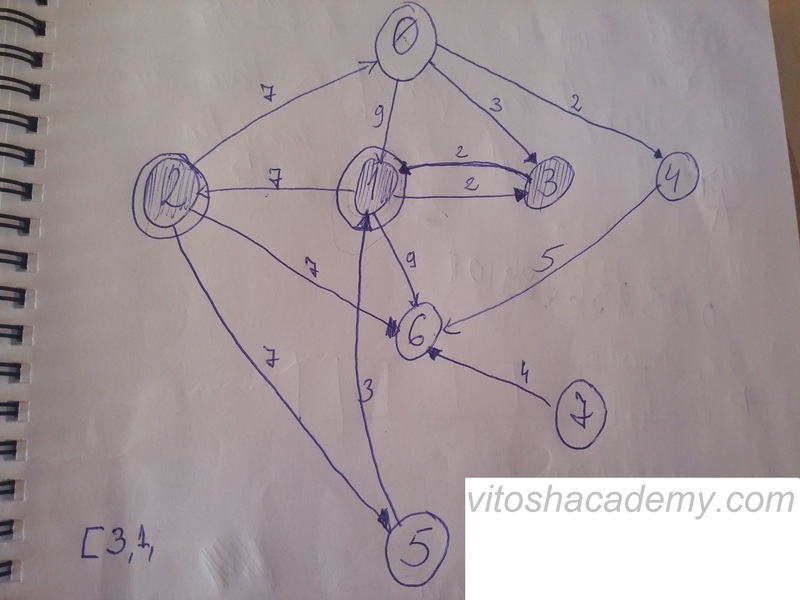 In this article I will present the solution of a problem for finding the shortest path on a weighted graph, using the Dijkstra algorithm for all nodes. The problem is formulated by HackBulgaria here. Thus, our target is to find the shortest path in value between any two given points. E.g., let’s say that someone wants to travel from point 0 to point 1. The result should be 5, because travelling from 0 to 3 and then to 1 is 3+2, which is cheaper than the direct travelling to 1. The first line gives the dimensions of the matrix (in our case 8 x 8), the next n lines are lines of the matrix. 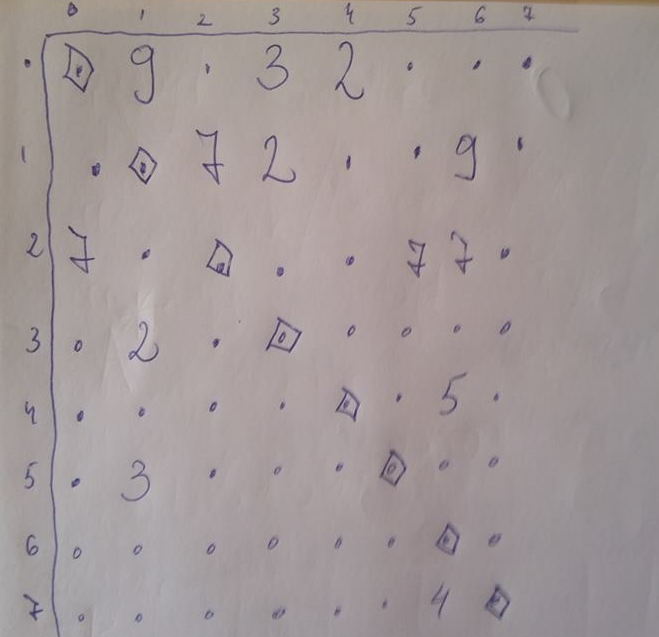 Then after the matrix we get a number, telling us how many questions from point to point we should have to answer. In our case, we have to answer 9 questions. What I did? Pretty much, I have calculated all the possible routes between two paths and I have kept them in a list. In the code, this is called list_total_results. Once this is done, I simply access the list to answer a query for the asked path. I have one function in the code (actually it is pretty messy, but it is probably quite ok for 60 lines of code. The function visit_position(list_results, list_visited) is crucial – it takes the list_results and returns the position of the smallest value in it, which has 0 in list_visited.